John Hodgkinson was born in Beeston in 18962, the only surviving child3 of John and Mary (née Oldham) Hodgkinson. 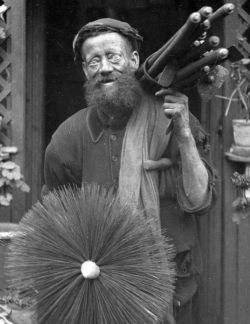 John senior was well known in Beeston as 'Johnnie Sweep' as he was, like his father before him, one of Beeston's more well known chimney sweeps (seen in this role right). Later in his life, his dedication to the New Connexion Methodist chapel, it seems, had caused him to move, with his family from Villa Street, Beeston4 to 13 Chapel Street where, by 1911 he was living almost next door to the chapel5. By this time, William junior, now 14, had found work as 'page boy' - that is, a young male servant. Although his Army Service Record has not survived, it appears that John enlisted in November 19156 with The Kings (Liverpool) Regiment and, after a period of training in England, he joined 18th (Service) Battalion, part of Kitchener's New Army, probably in time for the Somme battles in July 1916. The battalion was one of a number of 'Liverpool Pals' battalions that had been formed in Liverpool by Lord Derby on 29th August 1914 and had first landed at Boulogne in November 1915 as part of 89th Brigade, 30th Division before transferring to 21st Brigade, 30th Division in December 19157. The Battle of the Somme that got underway in a dramatic fashion on July 1st 1916 resulted in horrific casualties - over 57,000 British on the first day alone - and continued as a series of battles continuing over the next five months. From the start, 18th Battalion was in the front line and took part in an attack on the village of Montauban which was taken after just over two hours of fighting, though it suffered heavy casualties from enemy machine-gun fire. On the following day, it helped to beat off and enemy counter attack and then began to move forward against further objectives. In the days up to the 10th, bitter fighting continued in attempts to take further objectives, notably Trones Wood, but these had to be abandoned in the face of difficult terrain, determined enemy counter attacks and heavy shelling. For the many men for whom this was the first experience of battle - probably including Private Hodgkinson - this must have been a terrifying initiation8. In April 1917, the battalion took part in the Battle of the Scarpe in the Arras area, alongside other Liverpool battalions, but were stopped by enemy wire defences, suffering heavy casualties. It was then, on the 23rd April, that Private Hodgkinson was killed in action. 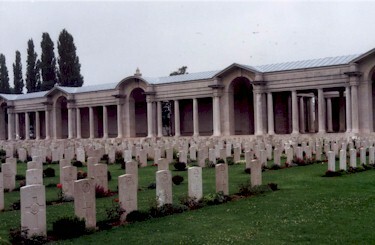 As his body was never identified, Private Hodgkinson is remembered on the Arras Memorial, in the Faubourg-d'Amiens Cemetery, Arras, which commemorates almost 35,000 servicemen from the United Kingdom, South Africa and New Zealand who died in the Arras sector between the spring of 1916 and 7 August 1918, and have no known grave9. He was posthumously awarded the Victory Medal and the British Medal10. John's Army financial effects of £2 7s 8d were paid to his mother, as his sole legatee, on 7 November 1917 and she received his War Gratuity of £6 on 11 October 191911. 2His birth was registered in Basford Registration District (of which Beeston was part) in Q2/1896 (Ref 7b 220). 3Their only other child, Lily, born in Q2/1895, died only a few weeks old. 41901 Census, Piece 3153 Folio 28 - 9 Villa Street. 51911 Census, Piece 20431 RD429 SD3 ED6 Sched 39. 9This description of the Arras Memorial is based on that included in the Commonwealth War Graves Commission website.